Cut bacon into small pieces; cook until crisp. Drain on paper towels. 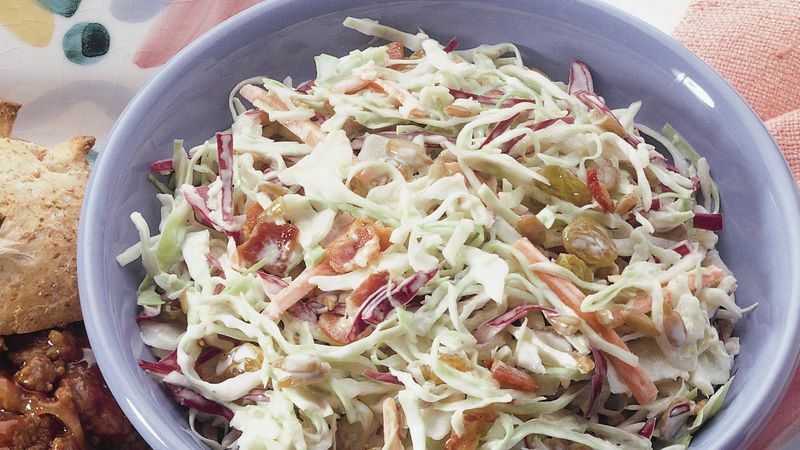 In large bowl, combine bacon, coleslaw blend, raisins and sunflower seeds; mix well. In small bowl, combine all remaining ingredients; blend well. Add to coleslaw mixture; toss well. Cover; refrigerate at least 1 hour or until serving time.